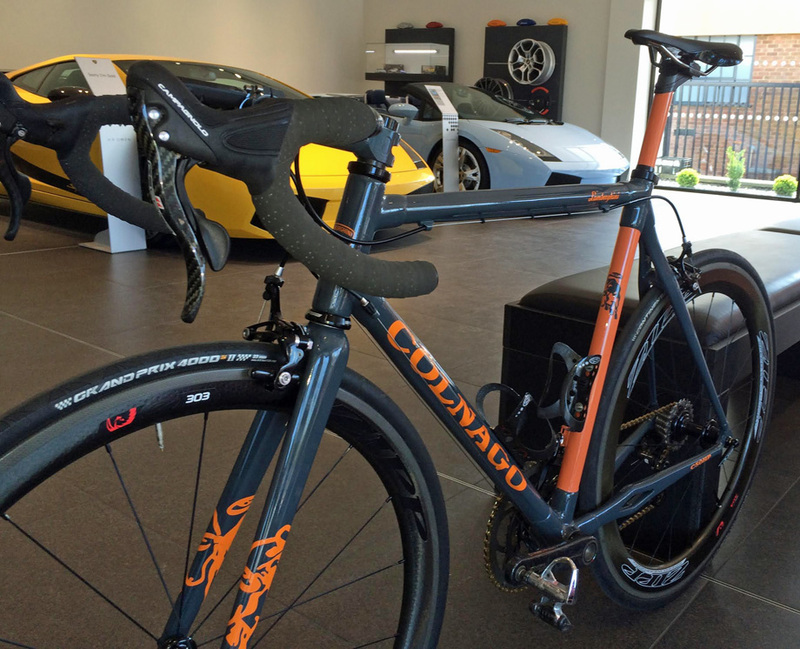 Normally associated with Ferrari, today's Readers' Rig is instead a Lamborghini styled Colnago C50 modified by its owner for his ultimate ride. A highly original custom paint job, Campagnolo record gearing, Zipp wheels and a light weight are just some of the features of this unique ride. 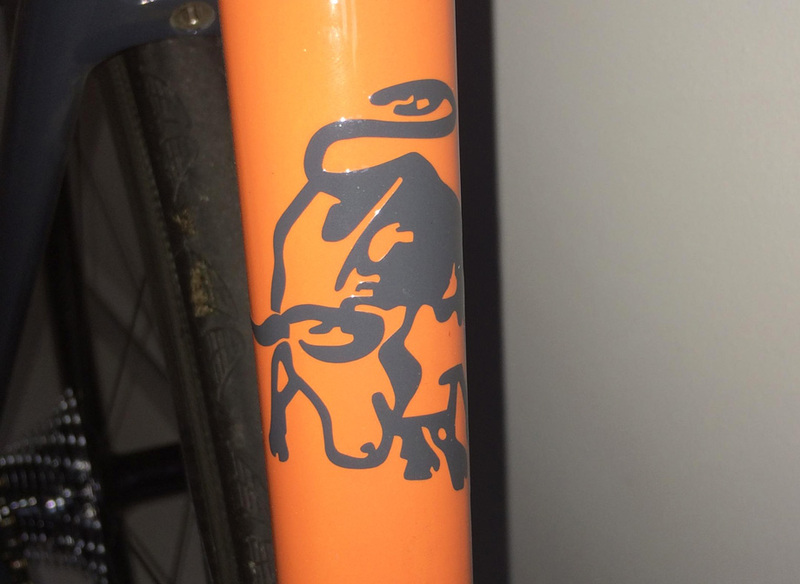 I bought the frame second hand in 2014 and it was in a bit of a state. 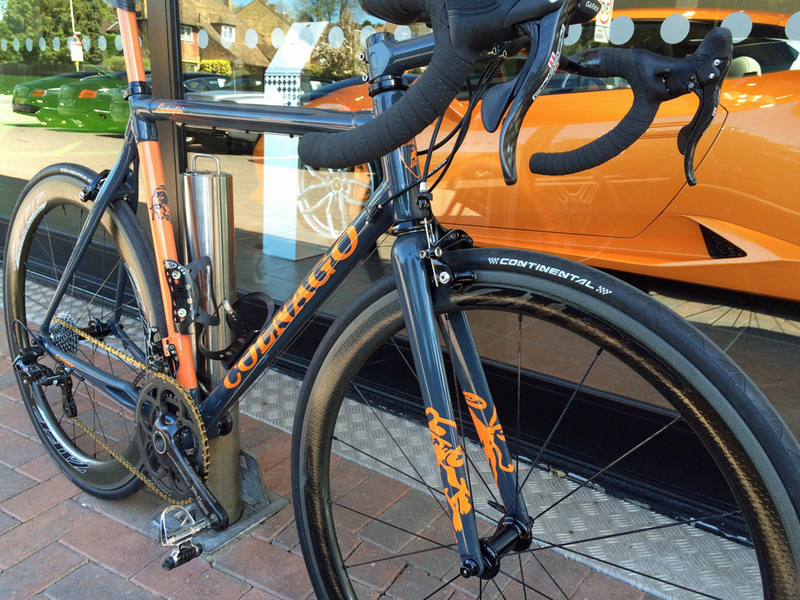 Carbon bike repair in Dorking, Surrey did the frame re-spray and I took in the ideas I wanted and we worked through those ideas right down to the exact grey and orange tones, so the Italian grey actually has green mixed in to give it that real deep gloss. 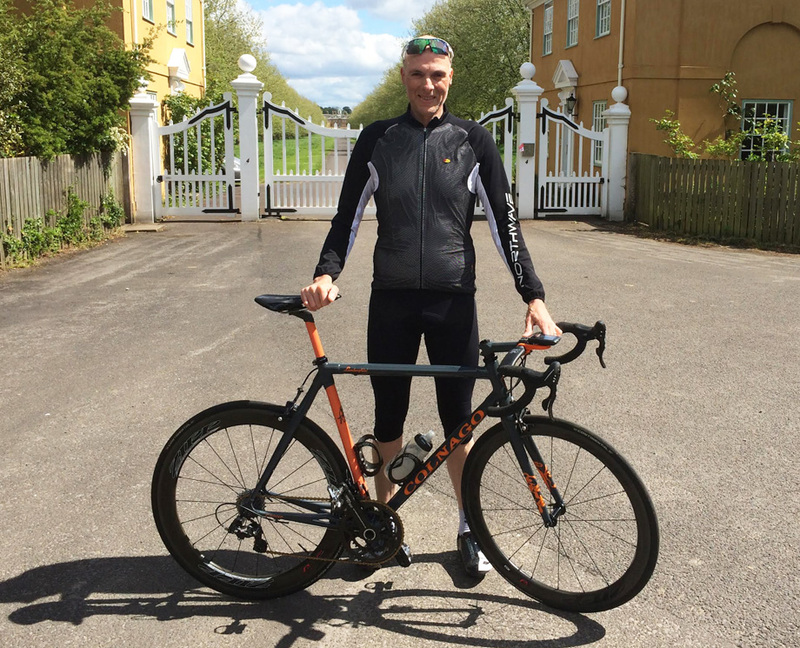 I chose this bike as I have been disappointed by the dumb slow handling of newer sportive bikes and wanted something made with the passion of a craftsman. There is a dealer about 4 miles from my house (H.R. Owen) and I ride past it often. They sell a number of nice things but when I was thinking about building a ride that really was a pure indulgence, art, something that made me feel like a kid at Christmas it just seemed that Lamborghini matched that. Colnago have long had an association with Ferrari and in some ways the original Colnago theme had the same issues, it said Colnago all over it and it spoiled the details that are under there, the frame, the quality of the lug joins the ways the splits in the stays are different sizes to allow for chain slap on the drive side, Colnago just went logo mad. Lamborghini originally bought a Ferrari and he found an issue which he engineered out with the clutch, he showed Ferrari and apparently they were not interested so he started building his own cars. Lamborghini's celebrate that you love colour and enjoy a crafted product, but they don't suffer the drag down of not being able to have an ornate or green one." I do this because it's fun product. 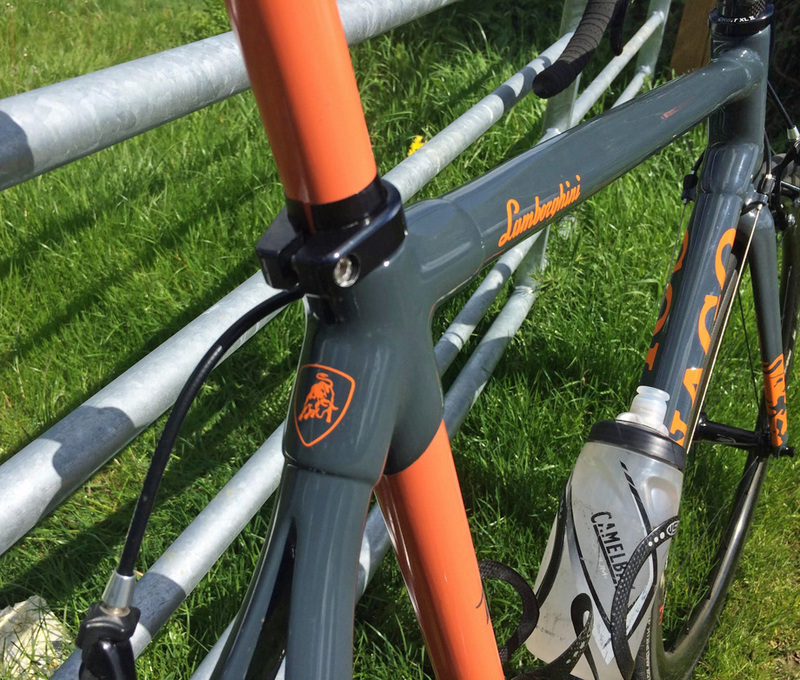 Unfortunately I don't have a Lamborghini myself but with a Colnago c50 Lambo' you go nuts every Sunday so when would I find the time to drive one? The whole bike is modded on from what it would have been including Lamborghini logos. I managed to get a Campag Record RS crankset with cult ceramic bearings and it is silky smooth - superb. 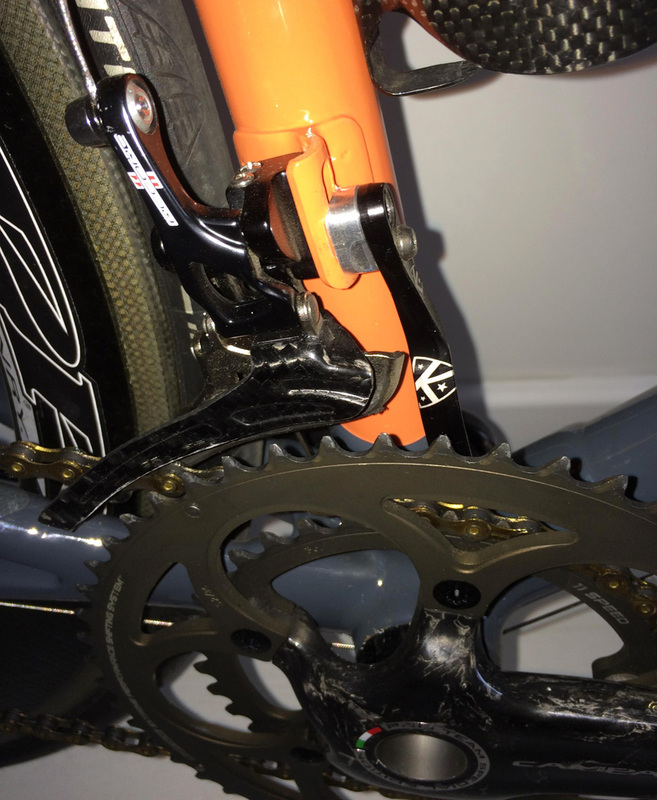 I built the rest using Campagnolo Record 2015, apparently they have improved the shifting and after a week of sore fingers I finally had the front mech just right. I ride around 5-6000 miles (8-10,000km) per year. My favourite area is riding west Berkshire and Thames valley in the UK. I haven't ridden it much yet but the first real corner tells you everything. Carving tight lines, the bike just drops into a corner so quick you have to hold it up. Up over the hills and down the Thames valley to Goring it just flys - perfect! Many thanks to H.R. Owen for letting me walk around the show room in cycling shoes for this improv photo shoot. My paint job is unique and some think I'm mad that I have taken a classic C50 and sprayed it in another way but I worked very hard with the details to try and keep it understated with logos and details that the real quality of the C50 shines through and it doesn't distract from the engineering quality that was always there. There are not many things at 50 that give you the feeling you used to get when you woke up on Christmas morning when you were 9, but for me, this does and I still just walk into the room to stare at it! Thanks to Chris for sharing his ride with us. Got a bike that you walk into the room just to stare at? Well how about sharing it with fellow PEZ fans and getting it featured in Readers' Rigs so we can all stare at it! 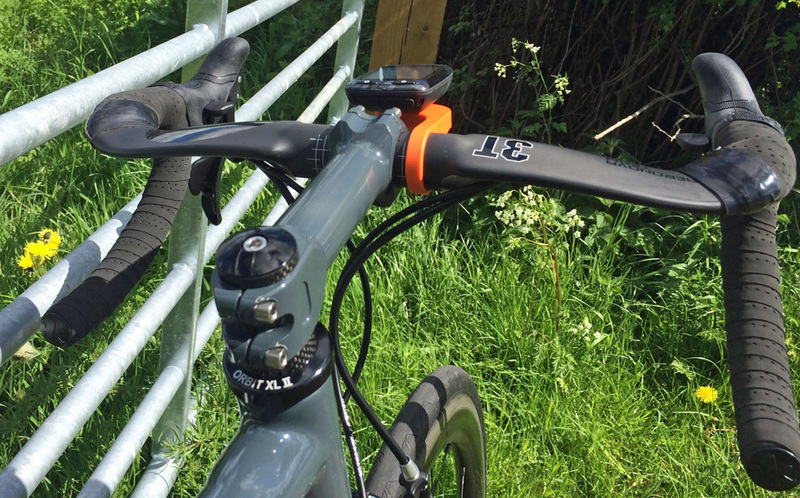 Contact us via the Comment box below, or send us a Readers' Rigs submission direct to [email protected] and your bike could be featured in all its glory here on the pages of PEZ.